We have been harvesting potatoes (Sarpo Mira) and we saw a few strange growths on the stems. Have you any idea what they are? They are not the green tomato like "fruit" - there were some of those, this thing is very different. Could it be some sort of gall caused by an insect? Sometimes potatoes grow on the stems above ground as well as below. Sarpo mira is a red potato ... 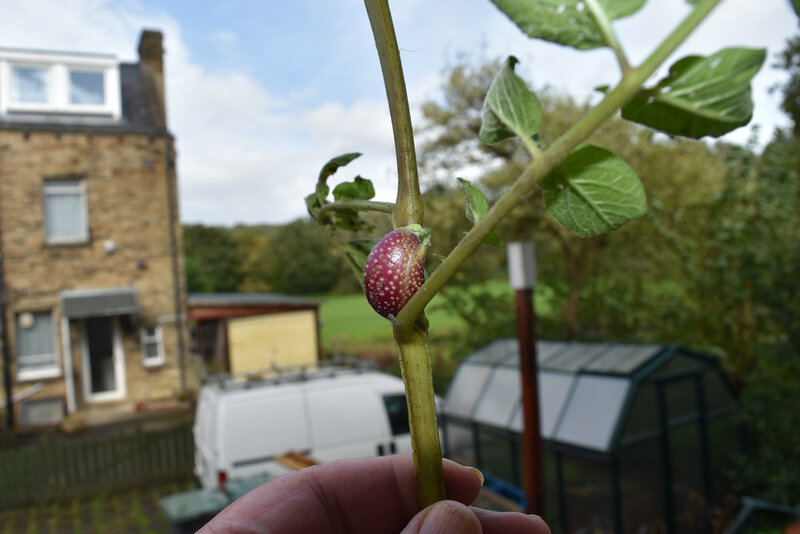 I think this is a potato with enlarged lenticels. It has developed a vivid colour because it has had more light.